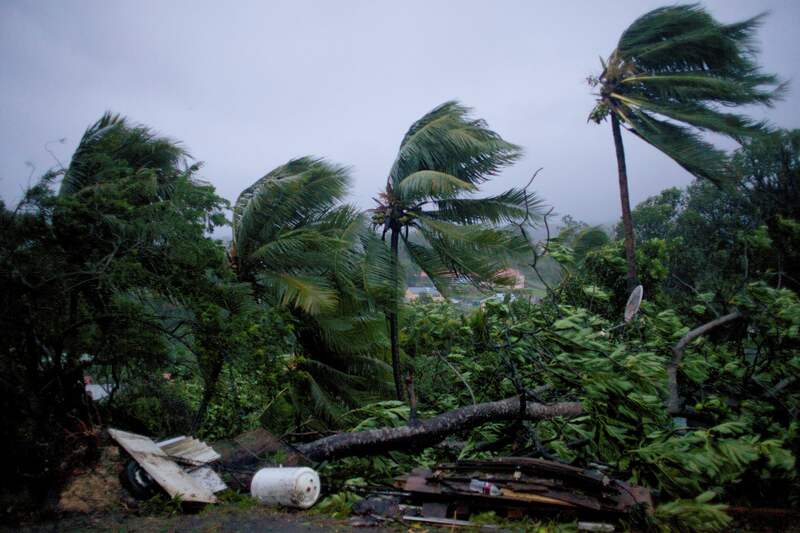 In September, the United States Virgin Islands was rocked by two category 5 hurricanes. Irma made landfall on St. John and St. Thomas on September 6. Less than two weeks later, Maria barreled through, leaving another casualty — St. Croix. In the aftermath of the devastating storms that claimed lives, the media has given the American territories very little attention. On Sunday, the United States Virgin Islands delegate to the House of Representatives, Stacey Plaskett, went on AM Joy to share the distresses of her constituents. “I have really grave concerns about the recovery that’s happing in the U.S. Virgin Islands at this time,” Plaskett told host Joy-Ann Reid. “We lost both of our hospitals. We are operating with one emergency room. We have medevaced all of the in-patients off of the islands to the mainland and I have yet to see on the ground discussions about how a real hospital will be put in place.” She continued, “There are discussions about an operating room in a box. That’s not going to suffice for what the people of the Virgin Islands need. “Right now the federal government is on the ground in the Virgin Islands but I believe that there is a real disconnect between what the federal government and FEMA have been told are the issues of the people of the Virgin Islands and what the actual individual residents are needing, ” Rep. Plaskett reported. Pointing out FEMA’s focus on restoring potable water, though much of the island’s residents use cistern water, collected from rain, in their homes. To that point, the Congresswoman also lamented that the EPA has not been down to the region, and to date, has not conducted any testing on the areas most common source of water consumption. “Joy I can’t tell you the low morale that the people of the Virgin Islands have right now about how the federal government and [other] Americans feel about them, because we hear nothing, nothing of the US Virgin Islands,” Plaskett explained. She further expounded that residents are starting to question if they have been ignored due to the size of the islands. The U.S.V.I. has nearly 110,000 residents while Puerto Rico has 3.5 million. Puerto Rico dominated news headlines last week as many celebrities lent their voice to the cause. Plaskett pointed out, “We have yet to see that level of interest on the ground in the U.S. Virgin Islands.” It’s also left Americans there wondering if it’s because the USVI is a primarily Black territory.